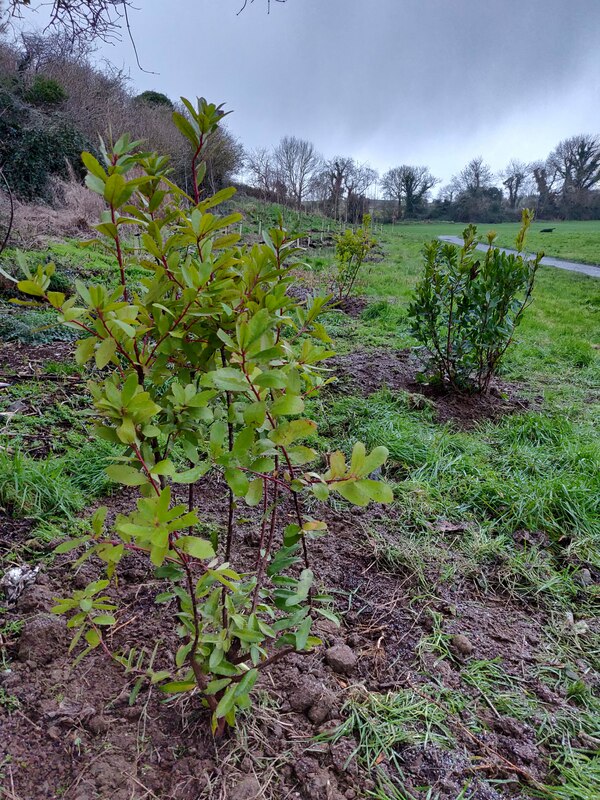 We are pleased to report that the Balrothery Tidy Village Group bio-diversity project of planting seventeen varieties of native Irish trees along a linear arboretum has commenced this week, in all 230 trees were planted in Glebe Park. 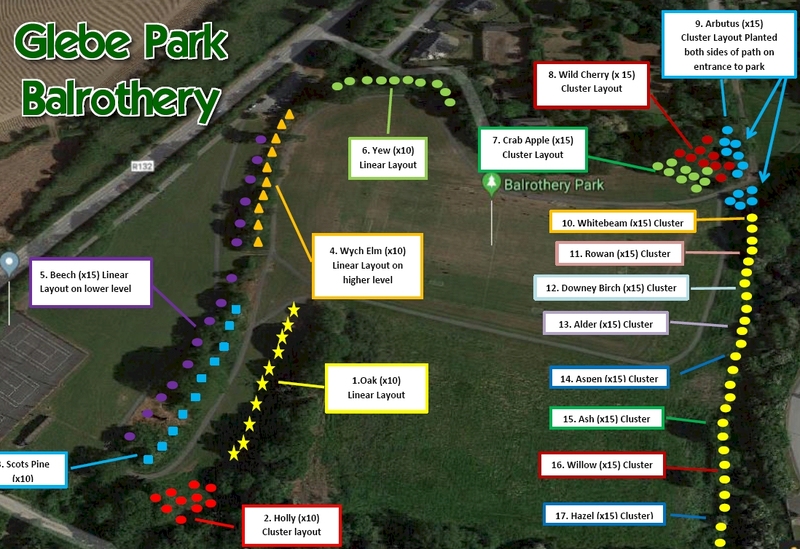 This is the first park in Fingal to participate in the Tree Council of Ireland initiative of Native Irish Tree Trails. 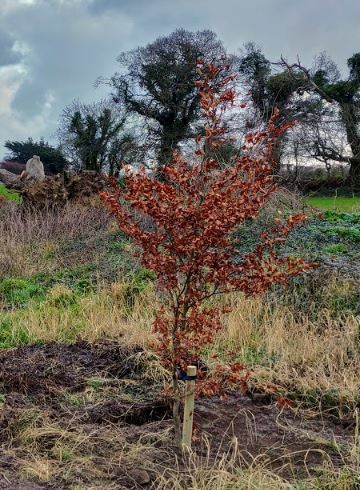 The scheme comprises of the full sixteen varieties of native Irish trees and one variety of naturalised tree, which is the beech tree chosen as they are the distinctive mature tree line already within the park. 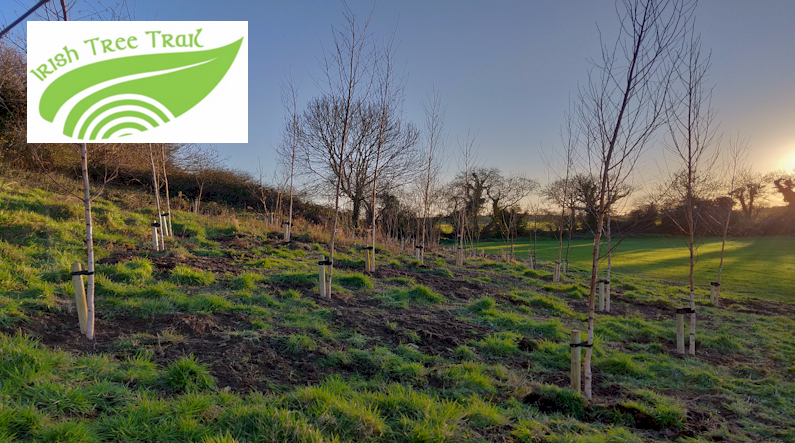 Glebe Park will be the first park within Fingal to have planted all the varieties of native Irish trees, which is a biodiversity accomplishment for Balrothery. Each species of tree carries with it a collection of insects, snails, lichens, birds, fungi and birds to name a few. The Oak and Willow have 450 species of insects that feed only on them. Birch trees support 300, Alder and Hazel have over 100. They are the supporters of a wide variety of wildlife. So native species of trees support a far wider variety of flora and fauna than any other trees. 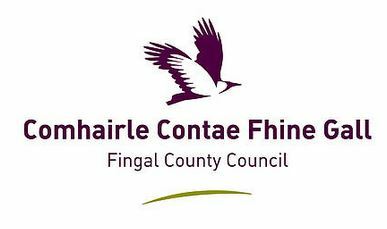 The project was first presented by us at the Fingal County Council Operations Department meeting in January 2018. Aileen O’Connor of Fingal County Council was in agreement with working in partnership on the project. In addition to the bio-diversity feature there is a strong environmental education aspect to this initiative aimed at the youth population which is a key objective of the Tidy Towns ethos to raise awareness with youth in the community. 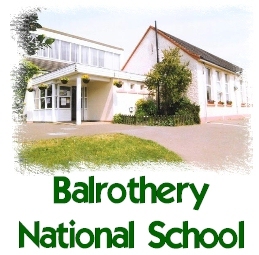 Balrothery National School with whom we have a very good relationship came on board and the students in Ms Whyte’s class did Trojan work in finding out about each of the 17 species and presenting their written results which will be put on Information signposts at the trees. We are very proud of them all and of their teacher Ms Whyte and Ms Murphy who is always open to new bio-diversity projects. The planting of Beech Hedging at the North Entrance of the village and the open space behind Tudor Hamlet has also commenced. The north east boundary of open space in Rosepark will also benefit from some tree planting. We wish to thank Fingal County Council and Balrothery Community Association who have once again worked with Balrothery Tidy Village group. Without such partnerships we could not have success in any of the improvement work that continues to be done in Balrothery Village. This will be an invaluable contribution to our Village natural Heritage for generations to come, securing Glebe Park as a wonderful woodland for us all to enjoy! We are planning to celebrate these trees with an event for National Tree Week which runs from 3rd to 10th March. Details of these events will be announced nearer the time.